A ‘kinder’ welfare policy for New Zealand? The Early Career Research Fellowship has given me the opportunity to contextualise welfare provision in New Zealand within international debates on the theory and practice of welfare conditionality. There are many similarities between welfare provision in New Zealand and other anglophone nations. In this post I outline some recent policy that has established welfare conditionality in New Zealand, while also explaining my own theoretical approach to welfare research. The third and final video in our fantastic new series talks about our research into disabled people and the welfare benefits system. Featuring Professor Peter Dwyer from the University of York and Professor Lisa Scullion from the University of Salford, the film calls for benefit sanctions on disabled people to be ended. The failing Work Capability Assessment must be replaced, the researchers say. Instead the priority must be to offer high quality support to those who want to work. ‘Support not sanctions helps disabled people into work‘ features animated stories from participants in our research. Our new video ‘Universal Credit – mending the fatal conditionality fault‘ is published today. The film includes animated stories from participants in our research, with a commentary by WelCond Director Professor Peter Dwyer and UC lead researcher Dr Sharon Wright. Many participants in our study experienced harsh, punitive sanctions under UC that left people in great personal difficulty. There was particular injustice for UC recipients who were already in work. The film calls for unconditional support for recipients, and an immediate end to sanctions on disabled people, households with children, vulnerable people and those already in work. A fundamental review of the sanctions system should follow. Our project’s fantastic new video ‘Benefit sanctions are far too harsh. Here’s why supporting people works better‘ is released today. 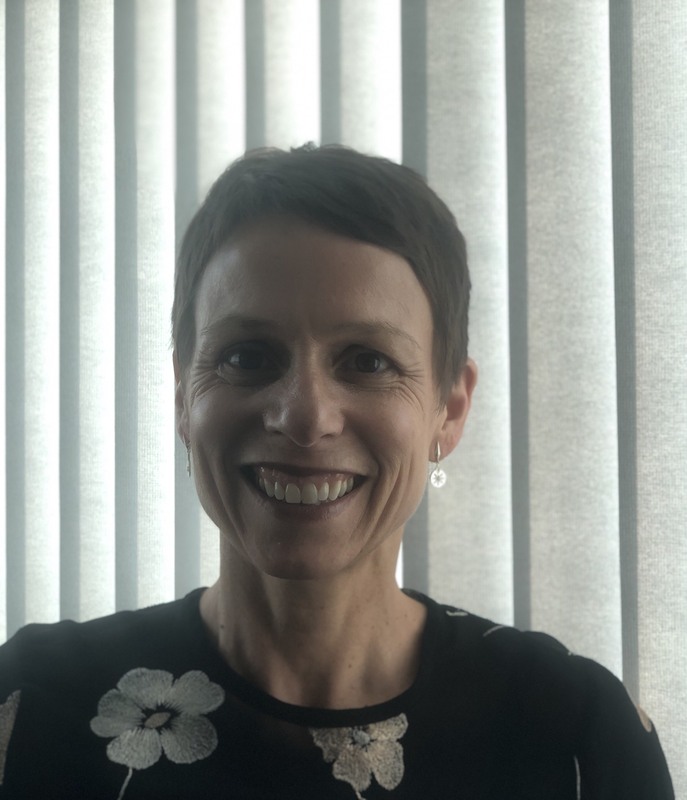 Featuring team members Professor Lisa Scullion from the University of Salford and Dr Sharon Wright from the University of Glasgow, the film also includes animated segments telling the stories of welfare service users in our study. A book written by WelCond project early career researchers will be out on 27 February. Published by Policy Press, the collection is edited by WelCond Director Professor Peter Dwyer. Dealing with welfare conditionality: implementation and effects considers how conditional welfare policies and services are implemented and experienced by a diverse range of welfare service users across a range of UK policy domains including social security, homelessness, migration and criminal justice. The book showcases the insights and findings of a series of distinct, independent studies undertaken by early career researchers associated with our ESRC funded project. 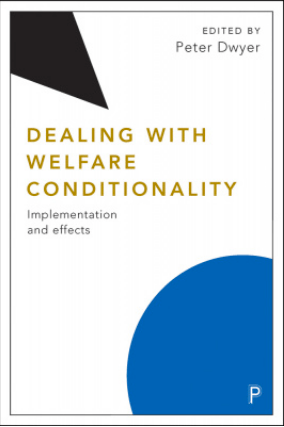 Each chapter presents a new empirical analysis of data generated in fieldwork conducted with practitioners charged with interpreting and delivering policy, and welfare service users who are at the sharp end of welfare services shaped by behavioural conditionality. This is the second in our WelCond series of books. The first, Welfare Conditionality by Beth Watts and Suzanne Fitzpatrick, is available from Routledge. Our project’s Director Professor Peter Dwyer challenged the idea that sanctions and conditionality help people into work, in a panel discussion broadcast by Australia’s ABC Radio network. The panel members, recorded at the recent Australian Council of Social Service national conference, said that conditionality failed to have the results governments expected. Professor Dwyer said our UK study found that not only did sanctions not help people into work, but they worsened people’s illnesses and impairments. ‘We need to challenge conditionality wherever it raises its head,’ he concluded. Speakers from Australia echoed the findings from their own research and experience. Does conditional welfare help the jobless find work? was hosted by journalist and broadcaster Paul Barclay. EU migrants are caught in ‘a constellation of conditionality’ in the UK, our project finds. As research team member Professor Lisa Scullion says in our newly released video, the situation of EU migrants is especially hard as the reduction in their social rights in the UK collides with the increased and intensified conditionality of the social security system. An academic paper by team members Professor Peter Dwyer, Professor Lisa Scullion, Dr Katy Jones and Dr Alasdair B R Stewart highlights and explores how conditionality operating at three levels (the EU supra-national level, the UK national level and in migrants’ mundane ‘street level’ encounters with social security administrators), comes together to restrict and have a negative impact on the social rights of EU migrants living in the UK. View our video explainer. A longer video gives highlights of our ‘Brexit: what welfare, what rights?‘ event from March 2018. Our project welcomes the Commons Work & Pensions Committee’s landmark report into benefit sanctions, published today. The report, which extensively cites our evidence, calls on government ‘urgently to evaluate the effectiveness of reforms to welfare conditionality and sanctions introduced since 2012, including an assessment of sanctions’ impact on people’s financial and personal well-being’.